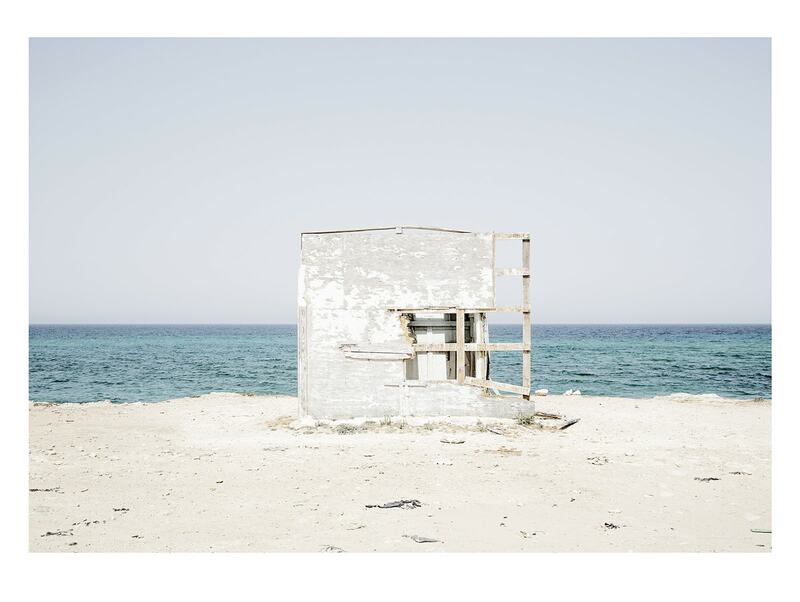 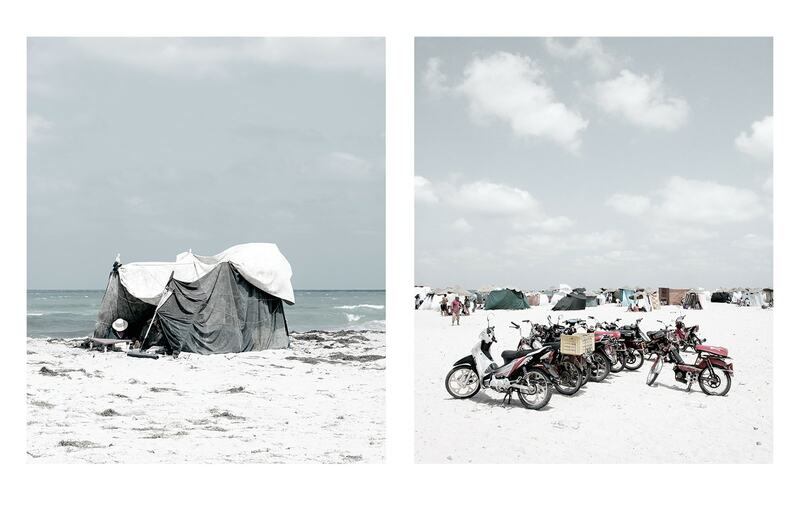 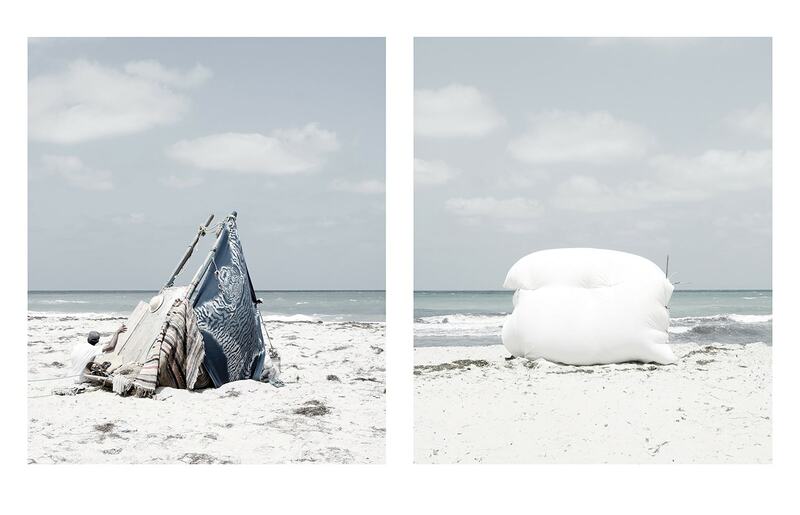 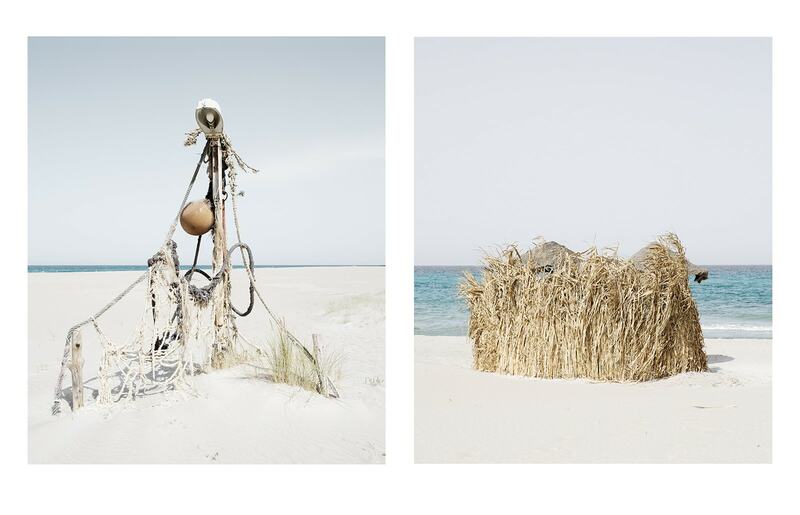 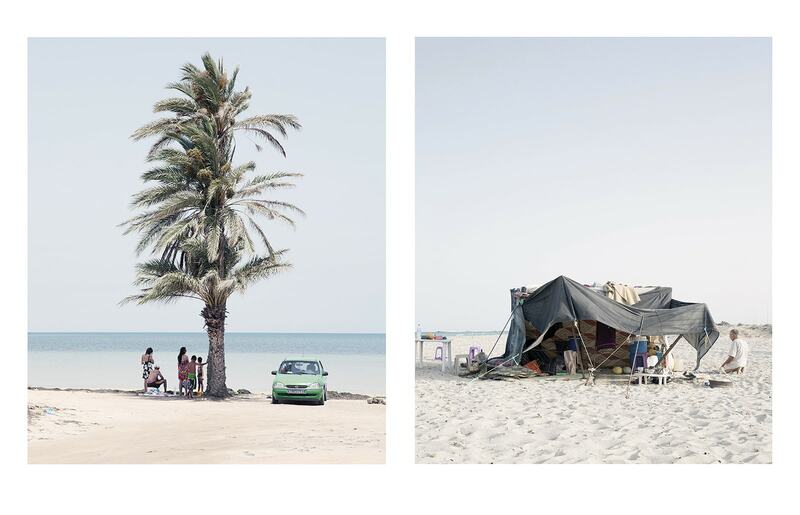 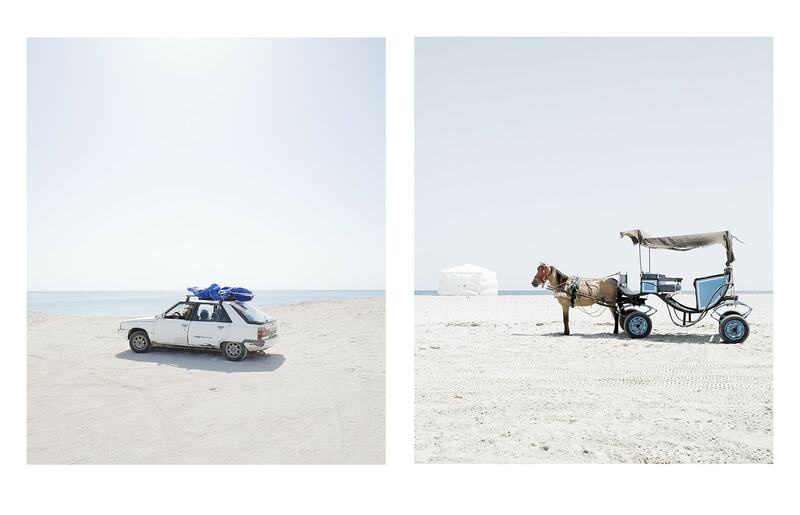 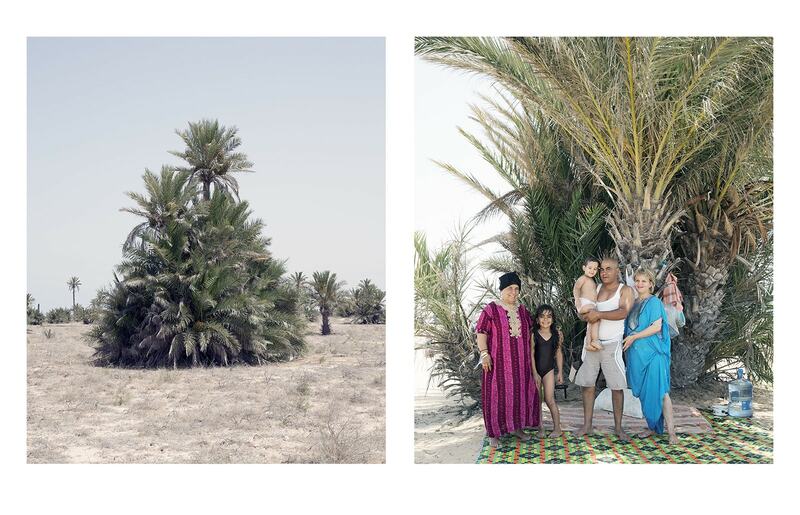 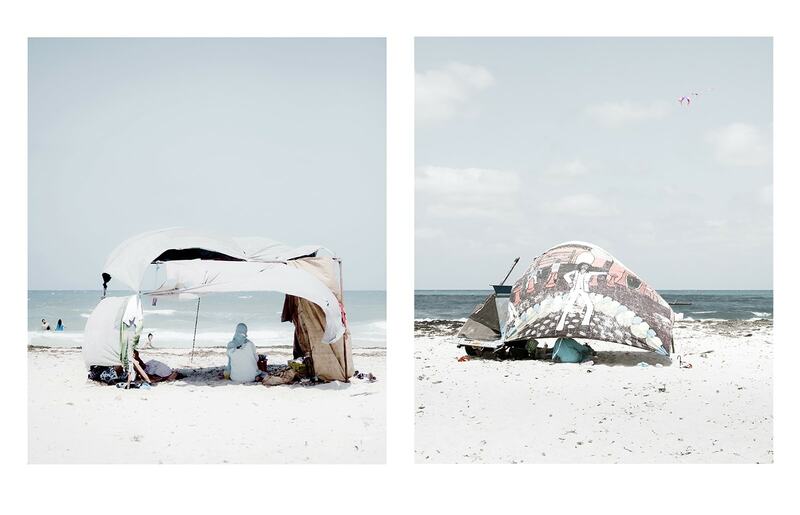 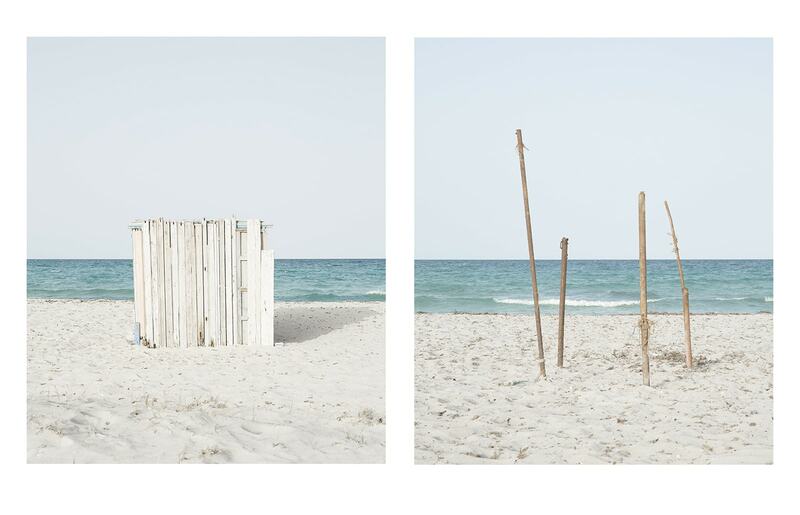 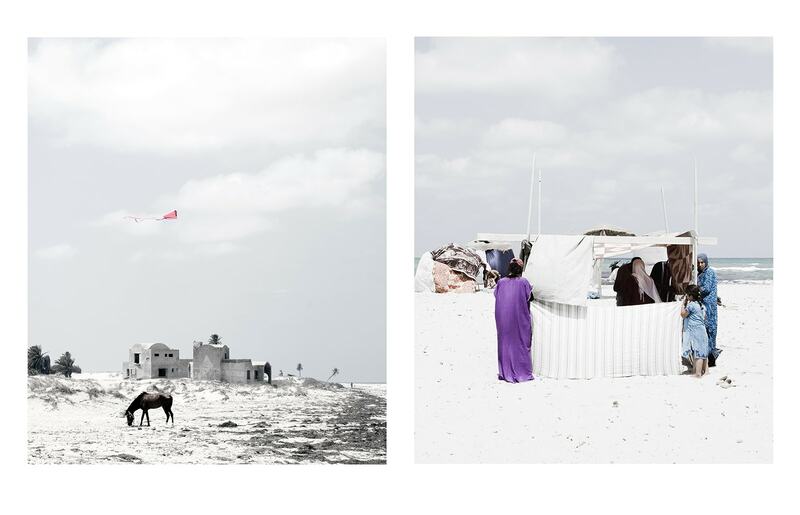 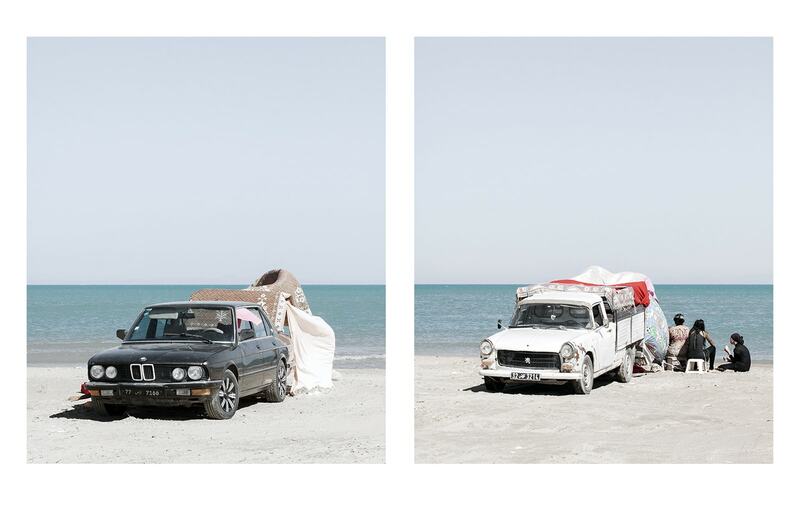 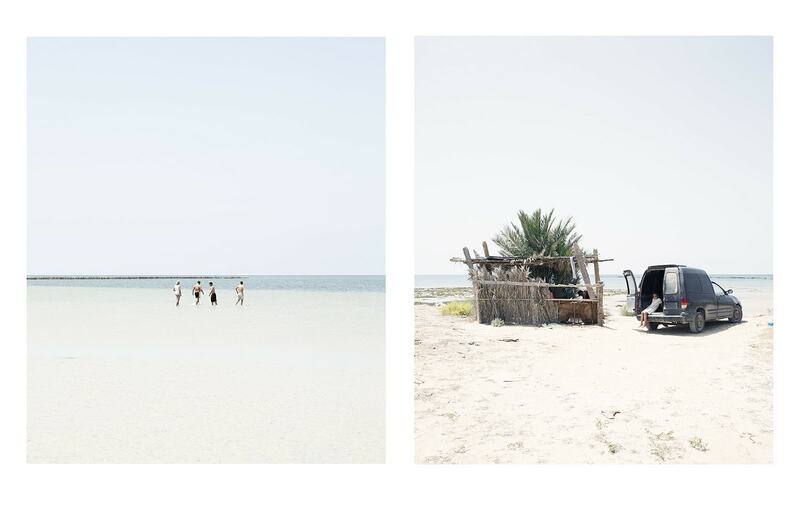 Tunisia-based photographer Yoann Cimier, fascinated by the ephemeral constructions of the country’ s nomadic life, strolled around the spectacular mediterranean seaside to capture the results of this aestival appropriation. 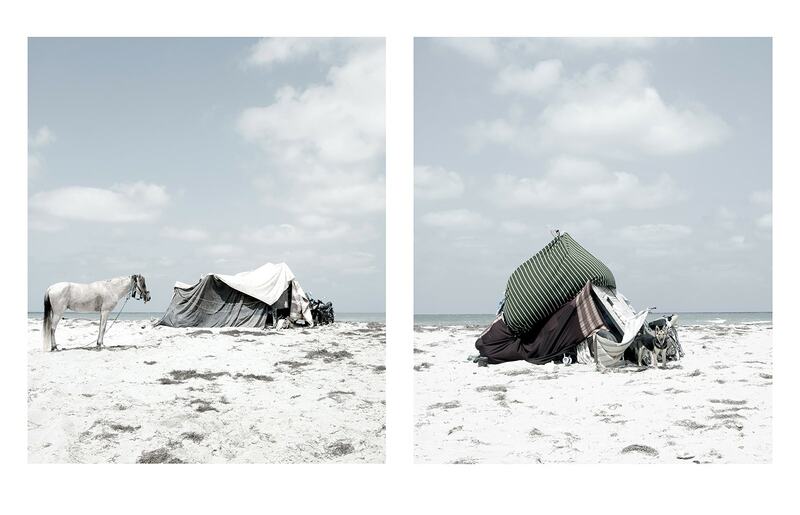 To him, “it is not a trivial phenomenon: each constituent element of these short-lived camps is a revelation. 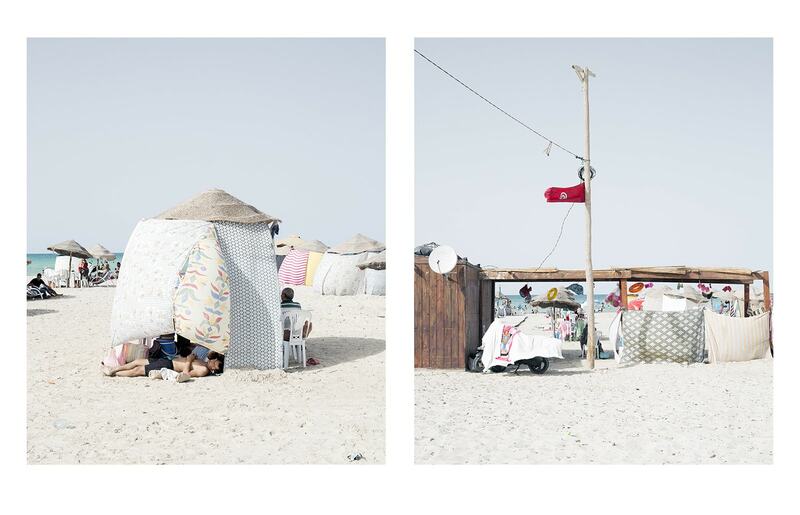 Observing how the local population takes possession of the seaside for a day reflects the dynamics and diversity of Tunisian society”. 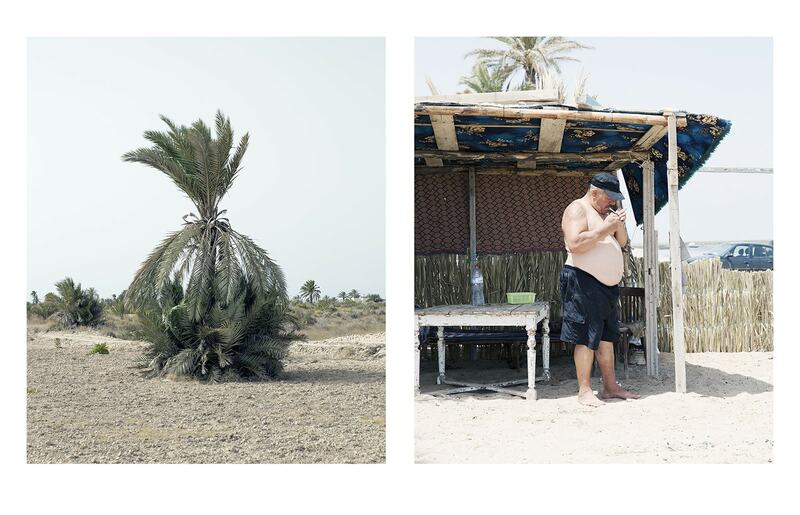 Yoann’s lens documents the informal ways in which people interact with their environment and sometimes unexpectedly alluring artifacts may emerge. 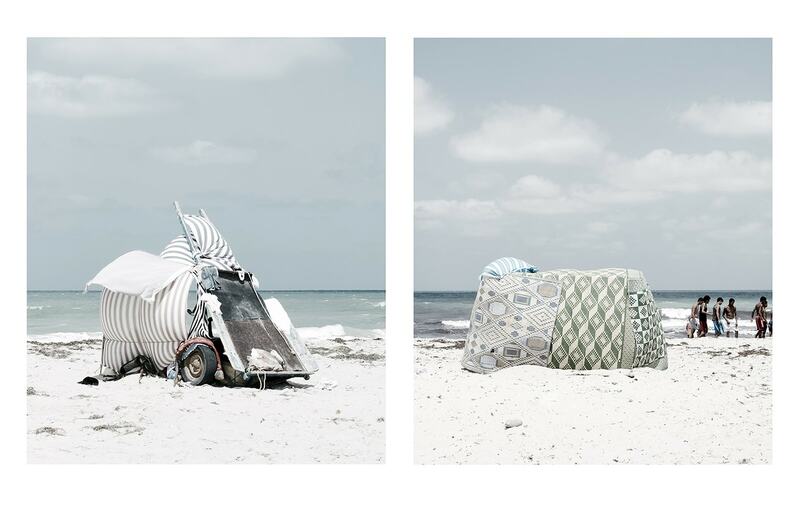 Without a predetermined plan, the visitors assemble all kinds of materials, crafting a series of unique, custom-made lodgings. 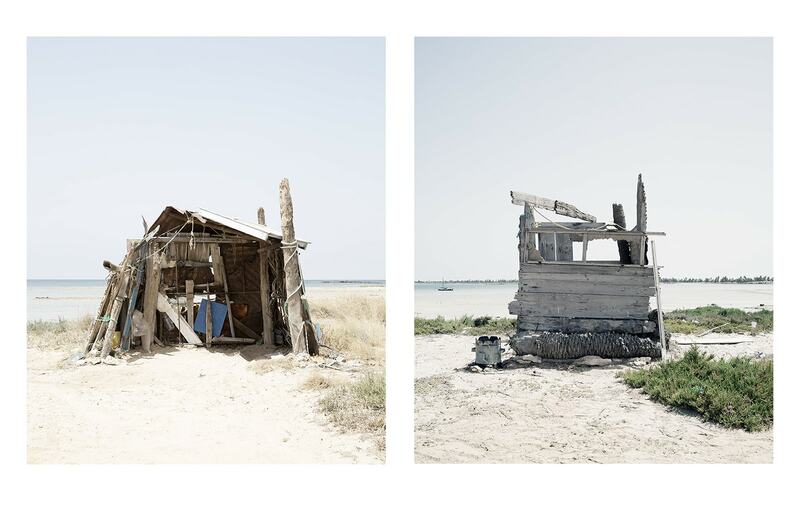 A random, yet conscious mishmash emerges, full of a lived-in architecture sense. 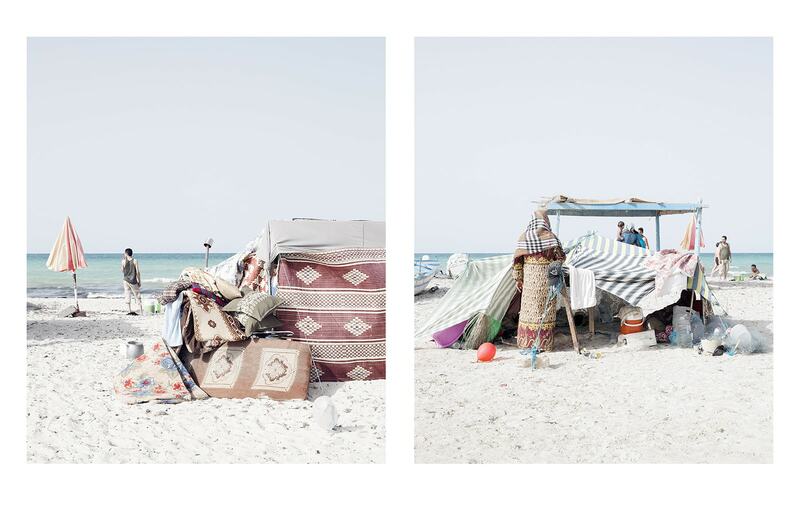 Formal expression of Tunisians’ mythical and spiritual relationship Tunisians with their environment, this micro nomadic architecture has the virtue of showing us the opportunity to recreate at a human scale, a small paradise on earth. 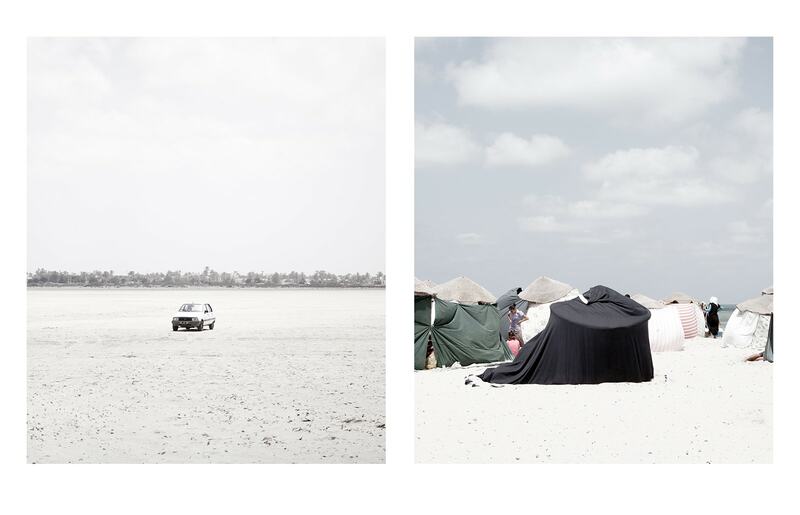 Extracts 1,2 and 3 can be found within Yoann Cimier’s english-french book, Nomad’s Land. 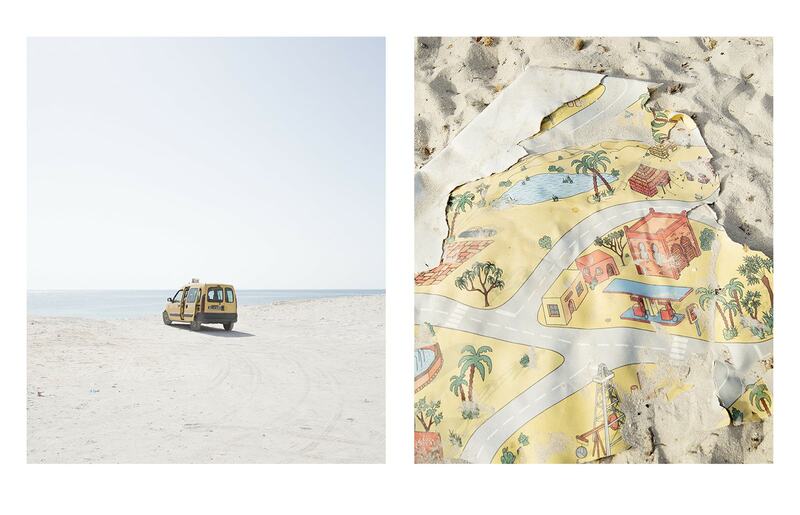 Get a copy here.